This discussion is the final installment of a series related to the asset-based business valuation approach. The prior discussion described the theory and methodology of the adjusted net asset value (ANAV) method. This final discussion presents an illustrative example of the application of the ANAV method. Let’s assume that an analyst is retained to estimate the fair market value of 100 percent of the owners’ equity of Gamma Client Company (Gamma) on a controlling, marketable ownership interest basis as of December 31, 2016. The analyst decides to apply the asset-based valuation approach and the ANAV method. The analyst decides to revalue the Gamma equity in the aggregate using the CEEM to conclude the Gamma total intangible value in the nature of goodwill. The following table presents the Gamma historical cost-based balance sheet as of the December 31, 2016, valuation date. The analyst has worked with the management, performed a reasonable due diligence analysis, and concluded that the next period normalized EBIT will be nine million dollars. For purposes of this analysis, the analyst concluded that EBIT was the appropriate measure of operating income to use in the CEEM analysis. The analyst concluded that the appropriate fair rate of return on all of the Gamma tangible and intangible assets is 15 percent. The analyst selected this rate of return based on the Gamma WACC. The analyst concluded a zero percent expected long-term growth rate in excess earnings. The analyst concluded a 15 percent direct capitalization rate. The following table presents the CEEM analysis. In this application of the ANAV method, the analyst does not revalue any of the Gamma assets—either the recorded tangible assets or the unrecorded intangible assets. The analyst applies the CEEM analysis based on the GAAP basis balance sheet accounts. The analyst prepared the ANAV method valuation-based balance sheet as of the December 31, 2016, valuation date. The analyst adjusted the GAAP-based balance sheet for the result of the CEEM aggregate asset revaluation analysis. This ANAV balance sheet is presented below. Based on the illustrative example fact set, the analyst performed the ANAV method to value the Gamma total equity. The analyst applied the CEEM analysis to conclude the aggregate asset revaluation amount to include in the ANAV method valuation. The analyst concluded $16 million as the total asset revaluation. The analyst concluded $36 million as the fair market value of 100 percent of the Gamma owners’ equity as of December 31, 2016. Let’s assume that the analyst is again retained to estimate the fair market value of 100 percent of the owners’ equity of Delta Client Company (Delta) on a controlling, marketable ownership interest level of value as of December 31, 2016. The analyst decides to use the Asset-based Approach and the ANAV method. The analyst decides to use the CEEM analysis to measure the appropriate total valuation adjustment to the GAAP-based balance sheet. The analyst performs a due diligence analysis and estimates that Delta will generate nine million dollars of EBIT next year. The analyst decides to use EBIT as the appropriate income metric to measure any excess earnings. The analyst performs a WACC analysis and concludes that 15 percent is the appropriate rate of return on the Delta assets. The analyst concludes a zero-expected long-term growth rate in the company excess earnings. Therefore, the analyst concluded a 15 percent direct capitalization rate for the CEEM analysis. The analyst can revalue certain assets that are already recorded on the Delta balance sheet. The analyst performed a Market Approach analysis to value the inventory. The analyst estimated the expected selling price of the inventory less the corresponding expected selling expense. The analyst concluded a six million dollar fair market value for the inventory. Management provided contemporaneous appraisals of the property, plant, and equipment. Based on the Market Approach (and a sales comparison method analysis), the fair market value of the land was $12 million. Based on the Cost Approach (and an RCNLD method analysis), the fair market value of the building was $14 million and the fair market value of the equipment was $24 million. These assets (including the inventory) were appraised based on a value in continued use premise of value. Since the analyst individually revalued account balances in this example, the analyst could have applied different required rates of return to each asset category. For example, the analyst could have applied a lower (than 15 percent) rate of return to the inventory and tangible assets. Then the analyst would have applied a higher (than 15 percent) capitalization rate as part of the goodwill-related valuation. Using such a procedure, the analyst would have to ensure that the weighted average return on assets (WARA) equals the WACC in the CEEM analysis. To maintain the simplicity of this illustrative example, the analyst consistently used the 15 percent WACC as the required rate of return on all of the asset categories in this CEEM analysis. Since the analyst received or performed current valuations of certain asset accounts, the analyst used these valuations in the ANAV method analysis. The analyst did not have valuations for any of the intangible assets. liabilities. [b] Property, plant, and equipment includes: $12 million of land, $14 million of buildings, and $24 million of equipment. The analyst prepared the ANAV method valuation-based balance sheet as of the December 31, 2016, valuation date. The analyst adjusted the GAAP-based balance sheet for both (1) the results of the separately valued individual asset accounts and (2) the conclusions of the CEEM analysis. The ANAV balance sheet is presented below. Based on the illustrative example fact set, the analyst performed the ANAV method to value the total equity. The analyst (1) used current values for several asset categories and (2) applied the CEEM analysis to collectively revalue all other tangible assets and intangible assets. Based on this CEEM analysis, the analyst concluded a five million dollar conclusion for the aggregate intangible value in the nature of goodwill. Based on the ANAV method analysis, the analyst concluded a $36 million value for 100 percent of the Delta owners’ equity as of December 31, 2016. Let’s assume that the analyst is again retained to estimate the fair market value of 100 percent of the owners’ equity of Epsilon Client Company (Epsilon) on a controlling, marketable ownership interest level of value as of December 31, 2016. The Epsilon December 31, 2016, historical cost basis balance sheet is the same as the Gamma December 31, 2016, historical cost basis balance sheet. The analyst decided to use the Asset-based Approach and the ANAV method. The analyst performs the due diligence analysis and concludes the same valuation variables used in the prior examples with regard to WACC, expected long-term growth rate in excess earnings, and direct capitalization rate. The analyst has the opportunity to discretely appraise certain of the Epsilon asset categories. Using the same Market Approach analysis, the analyst values the Gamma inventory at six million dollars. Management provides the analyst with current fair market value appraisals of the property, plant, and equipment. The land is valued at $12 million using the Market Approach, and the building is valued at $14 million using the Cost Approach. The only difference between the Epsilon fact set and the Delta fact set is that, this time, management provides the analyst with a $30 million appraisal for the Epsilon equipment. That $30 million fair market value conclusion is based on a Cost Approach and an RCNLD method analysis. The analyst used the inventory and the tangible asset valuations in the ANAV method analysis. The analyst did not have any intangible asset valuations. Based on the historical cost balance sheet and the current valuations for the inventory and tangible assets, the analyst performed the CEEM analysis summarized in the following table. [a] Working capital includes $11 million of current assets less six million dollars of current liabilities. [b] Property, plant, and equipment includes $12 million of land, $14 million of buildings, and $30 million of equipment. Since the “excess earnings” results in an income shortfall, the result of the CEEM analysis indicates the existence of economic obsolescence. The analyst reflects the economic obsolescence by recognizing a proportional value decrease in all tangible and intangible assets that were valued by the application of the Cost Approach. In the Epsilon valuation, none of the working capital accounts are valued by reference to the Cost Approach. No identifiable intangible assets were valued in the Epsilon example. Therefore, the analyst considered the tangible asset accounts. The land was valued by reference to the Market Approach, so no economic obsolescence adjustment is necessary to the land value. The buildings and equipment were both valued by the application of the Cost Approach and the RCNLD method. The analyst makes an economic obsolescence adjustment to the building and equipment values. This economic obsolescence adjustment is summarized in the table below. [a] The 2.3 percent economic obsolescence percent is calculated as one million dollars economic obsolescence ÷ $44 million total RCNLD. Based on the allocation of economic obsolescence, the final fair market value for the buildings is $13.7 million and the final fair market value for the equipment is $29.3 million. The analyst can use these final value conclusions in the ANAV method analysis. After this recognition of economic obsolescence, the CEEM analysis will conclude no positive intangible value in the nature of goodwill—and no negative goodwill related to a capitalized income shortfall. The analyst prepared the ANAV method valuation-based balance sheet as of the December 31, 2016, valuation date. The analyst adjusted the GAAP-based balance sheet for both (1) the results of the separately valued individual asset accounts and (2) the conclusion of the CEEM analysis (requiring an individual asset value adjustment for economic obsolescence). The ANAV method balance sheet is presented below. Based on the illustrative example fact set, the analyst performed the ANAV method. The analyst separately valued certain working capital and tangible assets. The analyst applied a CEEM analysis to collectively revalue the remaining asset accounts. Based on the CEEM analysis, the analyst did not identify any intangible value in the nature of goodwill. Rather, the analyst quantified negative goodwill, indicating the existence of economic obsolescence. The analyst adjusted the value of the cost-approach-derived asset accounts for the recognition of this economic obsolescence. Based on the CEEM analysis (after the recognition of economic obsolescence), the analyst concluded zero dollars intangible value in the nature of goodwill. Based on the ANAV method valuation, the analyst concluded a $36 million fair market value for 100 percent of the Epsilon owners’ equity as of December 31, 2016. The Asset-based Approach is a generally accepted business valuation approach. The ANAV method is a generally accepted Asset-based Approach valuation method. The ANAV method typically involves the aggregate revaluation of all of the tangible and intangible assets. However, the ANAV method can also be used if the analyst has access to the current valuations of any of the company assets (such as inventory or real estate). All Asset-based Approach methods inform the client as to the tangible asset versus intangible asset source of value within the company. Accordingly, both the asset accumulation (AA) method and the ANAV method can be applied to a company that is either tangible-asset-intensive or intangible-asset-intensive. Both the AA method and the ANAV method can be used to value either operating companies or asset holding companies. Both the AA method and the ANAV method can typically be applied to conclude various alternative standards of value and alternative premises of value. All Asset-based Approach business valuation methods typically conclude a marketable, controlling level of value. 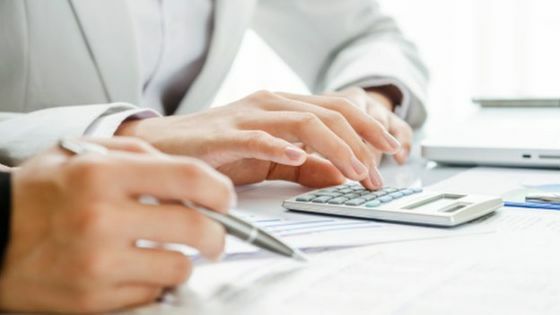 If the valuation assignment calls for a different level of value, then the analyst may consider the application of valuation adjustments—such as a discount for lack of marketability or a discount for lack of control. Finally, the Asset-based Approach methods may be particularly applicable in business valuations when either the Income Approach or the Market Approach is not applicable for one reason or another. And, the Asset-based Approach methods may be particularly useful as a supplemental or supporting business valuation method to be used in the reconciliation of Income Approach and Market Approach valuation methods.